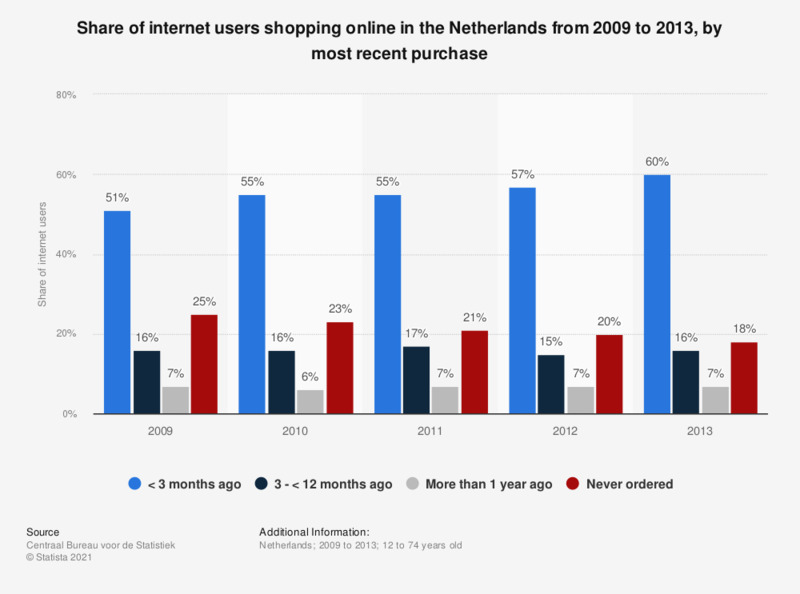 This statistic illustrates the share of internet users shopping online in the Netherlands from 2009 to 2013, by most recent purchase. As of 2010, 16 percent of internet users in the Netherlands made their most recent online purchase or order three to 12 months ago. How long are you prepared to wait for an answer?